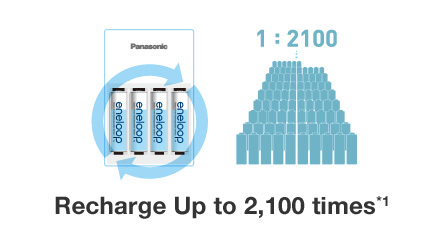 Panasonic eneloop offers even longer-lasting performance than our dry battery products in a cell that you can reuse up to 2,100 times. And with every charge, you're not only saving on the cost of a replacement battery, you're reducing wastage and actively helping create a more sustainable future. 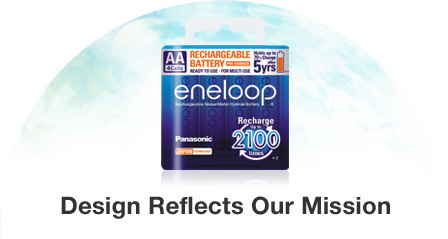 Panasonic eneloop can be recharged up to 2,100 times-top them up whenever you want and in a couple of hours they're ready to work longer than standard alkaline cells. They even hold 70% of a full charge after 10 years in storage, so you can count on them in an emergency. Studies show that an average household with two kids uses about 70 dry batteries a year. 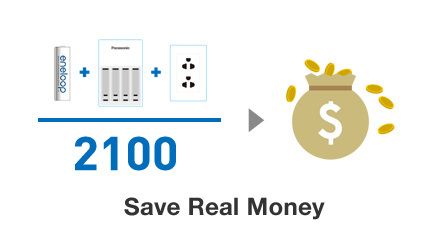 Even when factoring in the charger and cost of electricity, switching to eneloop saves a heap of cash in the long run. For example, in one year you could save almost US$20 just on the cells needed to run a single game controller. Plus, you'll always have batteries on hand, even when the shops are closed. Every recharge saves a battery from the trash. You're joining millions of others around the world in reducing waste, and making a real contribution to the future health of our planet. Every day, in more than 80 countries, eneloop is proving that it's cheap and easy to enjoy sustainable power. 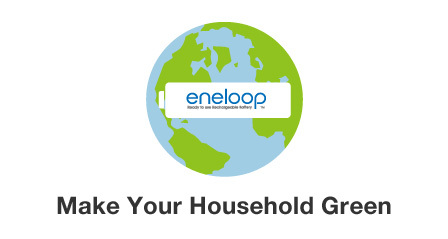 With eneloop, you can make the world a better place without having to give up convenience or value for money. 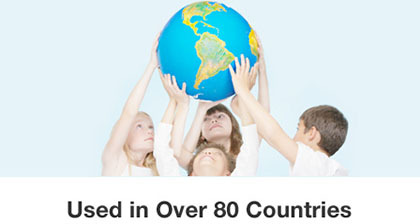 People everywhere are embracing sustainable eneloop power: so far we've shipped over 360 million cells globally. 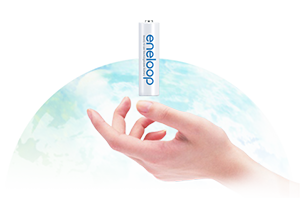 With improved metal-hydride alloy-lattice structure, eneloop retains 70% of a full charge after 10 years in storage. Every time you recharge eneloop, you're saving on the cost of replacement dry batteries and reducing wastage at the same time. Stable voltage performance guarantees far longer life than competitive dry cells even in extreme weather. Maintains high voltage in very low temperatures, and has better discharge characteristics following storage in temperatures above 40 C.
Panasonic eneloop ships pre-charged with sustainable solar energy and can be used immediately after purchase, just like any dry battery.